Cruises to Europe and Asia are expected to increase in popularity in the coming 12 months as Britons seek out new ports and locations to holiday in. Cruise Critic, an online guide and consumer reviews site for cruise holidays, predicts that Britons taking to the high seas will be favouring trips to locations such as Croatia, the Black Sea and even further abroad in 2008. Meanwhile, themed cruises are also likely to become big sellers this year, with holidaymakers choosing luxurious relaxation breaks as their summer and winter getaways from UK work life. "Along with the increased popularity and availability of Asian and European cruises, other 2008 trends we are seeing include a greater number of fitness and spa themed cruises and the building out of new ports of call in the Caribbean," said Carolyn Spencer Brown, editor in chief, Cruise Critic. 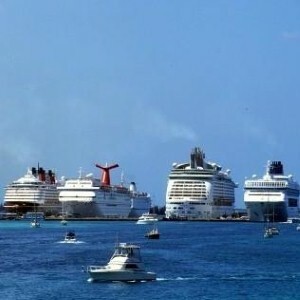 "In 2008, look for cruise lines and other developers to continue investing in 'undiscovered' ports of call," said the website.